Voice acting can be a difficult role to ease into, no matter how long you’ve been in the industry. While some of the pressure may be off, being behind the camera does not automatically make the job any easier; if anything, you may need to work even harder to portray your character with the sincerity and enthusiasm necessary for the role. 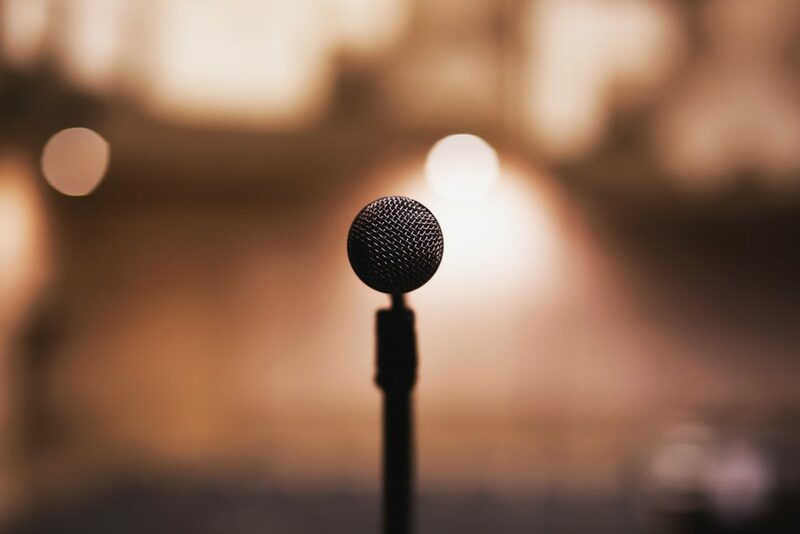 In order to do so, you’ll have to rely on your speaking abilities to propel your performance from okay to fantastic to ensure that it’s memorable and well-received. To get you started on the path to voice over superstardom, we’ve compiled 10 of the best techniques our actors had to offer. Try them out for yourself! Speak Clearly – When you’re behind the microphone, the only attachment the audience has to your character is through your voice. That being said, you’ll want to make as big an impact as you can, and the quality of your pipes will play a huge role in that! Use a strong voice, enunciate properly, and ensure that your words come across clearly so they can be readily understood. Just being able to understand is half the battle! Know Your Material – This one is a no-brainer. A voice over actor is just like any other—you have to memorize your lines so you know what to say! While you may keep the script in front of you while recording your parts, your audience will know if you’re simply reading from it rather than saying the words with gusto. In addition to having the lines memorized and ready to go, reviewing the script ahead of time acquaints you with your character, helping you get a feel for how you should be portraying them. Be Kind to Your Voice – As a voice over actor, your voice is your moneymaker. Keeping your voice in tip-top shape can help ensure that you continue to get jobs within the industry and cultivate a solid reputation for yourself. Remain hydrated during the day, drinking plenty of water and throat-soothing beverages such as tea, and try to avoid lung-damaging activities like smoking. Be Confident – People can tell if you lack self-assurance by how you carry yourself, and your voice is no different. Be excited and take risks while acting. Say your lines with a smile that can be felt by your audience. Take risks with your deliveries to get the best possible takes, and never second-guess your talents as an actor. Act It Out – What better way to convey meaning with your voice than to use your whole body as a prop? A convincing performance requires commitment to the character, and a surefire way to achieve such is by simply going through the physical motions specified in the script. If your character is a world-famous singer, for example, you may want to expand your arms excitedly when acting out a high note, or incorporate light dance moves while you deliver your lines. Utilizing this technique not only allows you to get in touch with the spirit of your character, but adds another dimension to your overall performance. Practice – The old saying is true: Practice makes perfect. Practicing not only benefits you in your current role, but works to help you become acquainted with your talent range. It is imperative to develop a wide skill-set as an actor so you’re able to qualify for a myriad of roles, and taking the time to further train yourself will improve your overall demeanor. Collaborate – Playing off of others can be an essential part of voice acting, as it allows you to adjust your tone and general disposition while recording your lines. Working closely with your fellow actors also has more nuanced benefits, like the ability to explore the relationships between characters, establish how they interact with one another, and how your delivery can best reflect the people you represent. Learn to Breathe – In addition to pacing their lines and delivery, a voice over actor must also pay special attention to their breathing patterns, crafting a rhythm that is comfortable and allows for optimal vocal performance. Regulated breathing is a discipline that can be cultivated through practice and concentration. Getting in tune with your body’s natural tendencies to breathe will help you space your lines and deliver them with strength. Keep an Open Mind – As artists, our first instinct is to create and our second to critique. Self-doubt is a powerful hindrance to success, as we remain hyper-critical of our work and become hung up on details that prevent us from seeing the larger picture. When you feel yourself becoming overwhelmed, remember to relax and keep an open mind—instead of zeroing in on the negative spots in your performance, hone the skills that are working for you. The only roadblock to success is yourself; don’t fall victim to self-sabotage! Tone – What you say matters just as much as how you say it. For voice over actors, this is especially true. It’s your job to interpret the script in a manner that is aligned with the character’s perspective and conveys appropriate meaning. Using just your voice, you create an atmosphere within the narrative framework that will be felt by your audience. Because of such, it’s imperative that the tone of your delivery match the words themselves so the best possible outcome can be achieved.